The panel of Vikings is online and it is one of the greatest I have seen. It has everything in it. It is funny, it has spoilers and even we fans got appreciated. It is great to see them all out there. 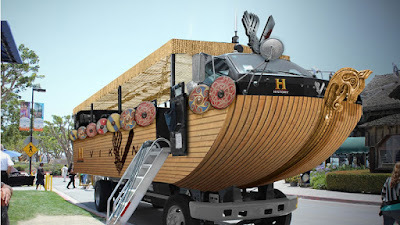 And on the next link you can find the interview they did with Yahoo TV in the special build Longboat. I think there will be more interviews to find but this is the only one I could find at the moment.